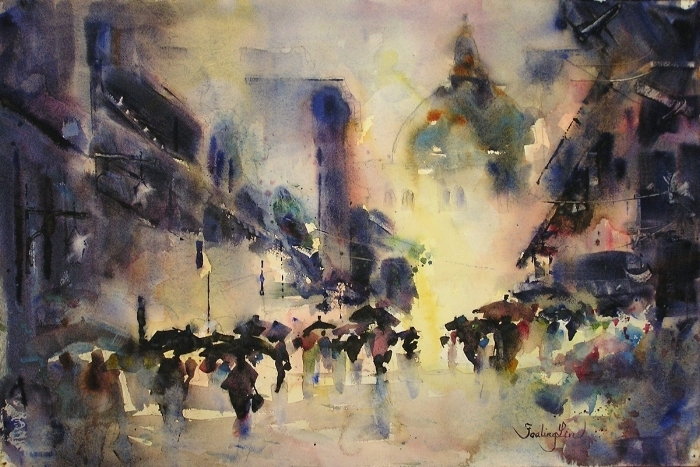 Award-winning watercolorist, Fealing Lin of San Marino, California, was born in Taiwan and began her journey into artistic expression as a protégé of renowned professor Ching-Jung Chen in Taiwan, subsequently pursuing her career in the United States with watercolorist and senior art historian professor Verna Wells. With a fluidity of colors, Ms. Lin combines impressionistic strokes and semi-abstract techniques to elicit life and movement in her portrait and landscape watercolors. Her paintings adorn the paper with both harmony and emotion. Although briefly diverted from her passion by a family tradition of medicine and dentistry, Fealing ultimately abandoned her tray of instruments and high-speed drills in favor of her pallet and brushes. Now she is a teacher, demonstrator, judge, and active exhibitor. Said Professor William Blackshaw, President of the Royal Watercolor Society in England, "Fealing Lin paints poems that vibrate with light and color... long may she continue to delight the eye and move the spirit"
"My passion for watercolor," says Ms. Lin, "comes from the opportunity it gives me to be totally spontaneous in the pursuit of traditional watercolor transparency which is the "glow" from the white paper that emerges through the paint once a fusion occurs from the application of wet onto wet. Fealing was an annual guest instructor at Yosemite National Park for more than ten years, an instructor at Brand Art Studios at Brand Library in Glendale, and San Gabriel Recreation center in San Gabriel. She was featured at Descanso Gardens Gallery for 10 consecutive years. She has taught watercolor workshops throughout California and the US. Fealing has been enthusiastically embraced by the general public and private collectors alike. 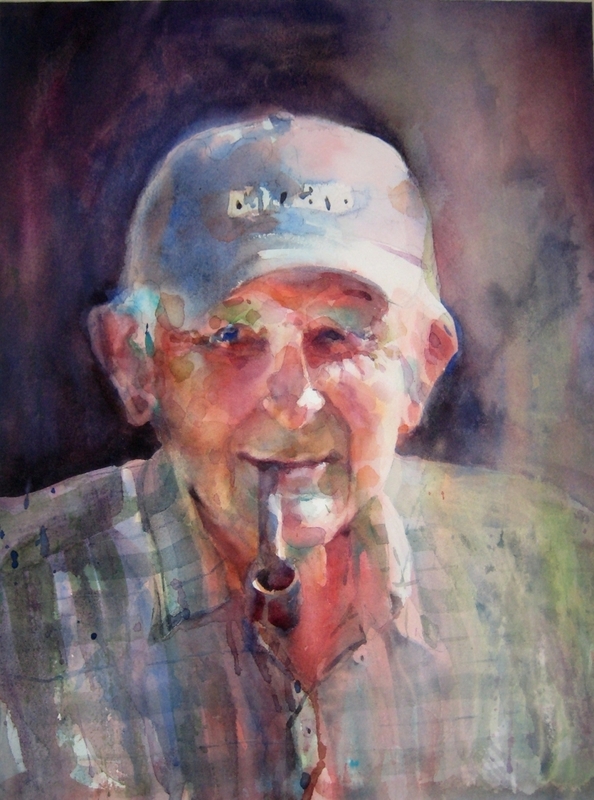 Fealing is a signature member of National Watercolor Society, Transparent Watercolor Society of America, Watercolor West, San Diego Watercolor Society and the Missouri Watercolor Society. Her works have been juried in many national exhibitions including NWS, WW, TWSA (Transparent Watercolor Society of America), Brand National, Audubon Artist, San Diego Watercolor International and many others. She has won numerous awards among these shows. Fealing's works also appear in many magazines and books, including Watercolor Magic, Artist Sketch Magazine, International Artist Magazine, Best Watercolor, and Splash (9, 10, 11,12 & 14). 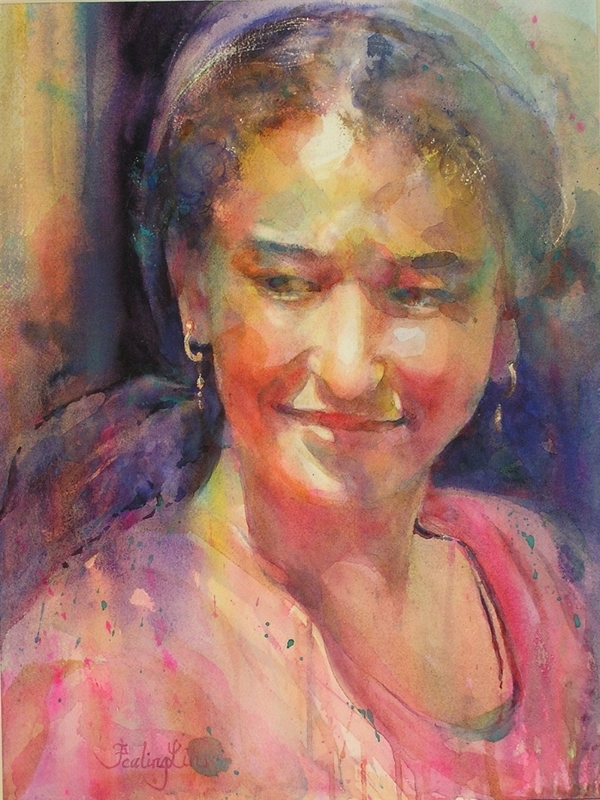 She is one of the 15 artists who have contributed to the new book Watercolor Secrets by North Light Books (2009). Her self-portrait is featured on the cover. No refunds after June 15, 2018.